I often receive questions from readers about my personal journey. 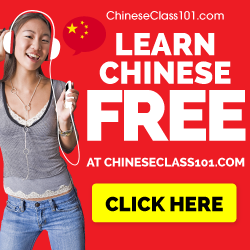 Why did I start learning Chinese? What phases did I go through and what did I learn from them? It’s time to answer those questions! Since this journey stretches over more than eight years, it’s necessary to divide it into several parts, else the content will be too sketchy to be of much interest. My goal with these articles isn’t simply to tell a story, it’s also about sharing observations and insights I’ve had along the way. I believe that random chance plays a more significant role in our lives than many people realise. It’s easy to look back and create a narrative that takes you to the present day, but it’s rarely the case that we are aware of that narrative as it unfolds. In short, the reason I started learning Chinese is a long string of fairly unlikely coincidences. Looking back, they all combine neatly to form who I am today and what I do, but that certainly wasn’t a strategic goal at the time. To learn about why I started learning Chinese in the first place, we need to wind the clock back almost 20 years. For me, the journey probably started in junior high school, when I started practising Jujutsu (柔術 in both Japanese and Chinese). This led to a more general interest in martial arts, and during a few years, I tried out most of those on offer in my home town Linköping in Sweden. I stuck to Jujutsu for a few years, but then switched to Tai Chi Chuan (Chinese: 太極拳). There were several reasons I switched. I found Japanese martial arts to be too rigid with fixed uniforms, a strict grading system and a training environment with numerous rituals. This switch is very important! Who knows, if I had stuck to Japanese martial arts, we might have ended up with Hacking Japanese instead. That would have been cool, too, but that’s not what happened. This is one of the few photos I have of myself in a Tai Chi setting. 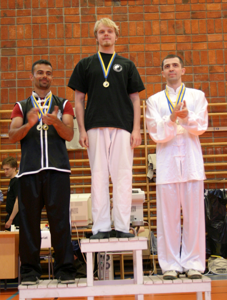 It’s from Swedish Open 2005 when I won the -77 kg men’s fixed step pushing hands. This was around the year 2000, when I noticed some other people practising another martial art. It looked sort of Jujutsu, but was more fluid, had a less fixed repertoire of techniques and where everybody just wore plain t-shirts. It looked a lot more no-nonsense than anything I had seen before. This appealed to me a lot. In case anyone is interested, the style is called Practical Wudang Tai Chi Chuan (武當太極拳) and I practised for five years under Paul Silfverstråle and also met our head instructor Dan Docherty many times. The step from practising a martial art to studying the language is not hard to understand, but most people I know who practise martial arts don’t also learn the language, so there’s still some explaining to do here. My interested for the language came from a deeper interested in the philosophy and system of thought behind Tai Chi Chuan, which were already somewhat familiar from Zen Buddhism. 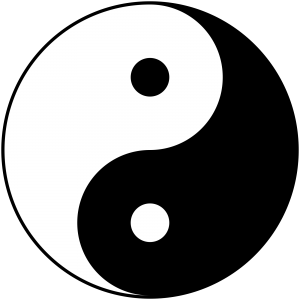 I started thinking about and reading up on Eastern philosophy (including Taoism and Zen Buddhism). I studied translations of Tao Te Ching (道德經) and listened and read everything I could find by Alan Watts, who has had great impact on the way I think. 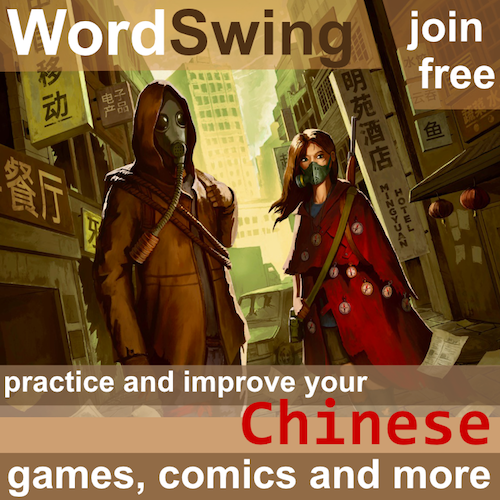 In 2006, two good friends of mine who studied Japanese and were also into martial arts told be that there was a new course at the university where you could study Chinese language and culture intensively for on year. At this point, I had already studied at university for three years (psychology, education science and English), but I felt that this was good opportunity to take a break from that and learn some Chinese. So I did. I took a study break from the teacher’s program and enrolled in the one-year intensive program. I had no goal of becoming fluent and I didn’t have any strategic plans, I did it simply because I was curious and thought it was a good opportunity to try something else. My plan was to do that for one year and then get back to the teacher’s program. I did, eventually, but only three years later, after I had studied Chinese full-time for three years, one in Sweden and two in Taiwan. But this is probably enough for one article, so I’ll save the next part of the story for next time! 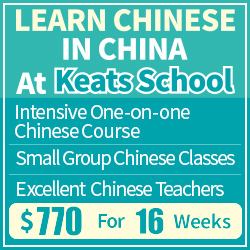 Why did you start learning Chinese? 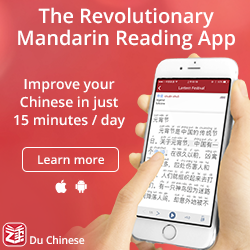 Why did you start learning Chinese? Did you have a clear plan when you started or was it more random, like it was for me? I know that the comments are not working, but please nudge me on Twitter (@HackingChinese) or leave a comment on Facebook! I really enjoy reading this post because my path of learning Japanese is very similar to yours. I was also inspired by Zen Buddhism so I started thinking about and reading up on Eastern philosophy and listened and read everything I could find by Alan Watts, who has had a great impact on the way I think. I love Alan Watts too! I’ve listened to everything I could find by him and I think he’s had a considerable impact on my way of thinking, too.